This is a local game jam hosted in Wichita, Kansas. 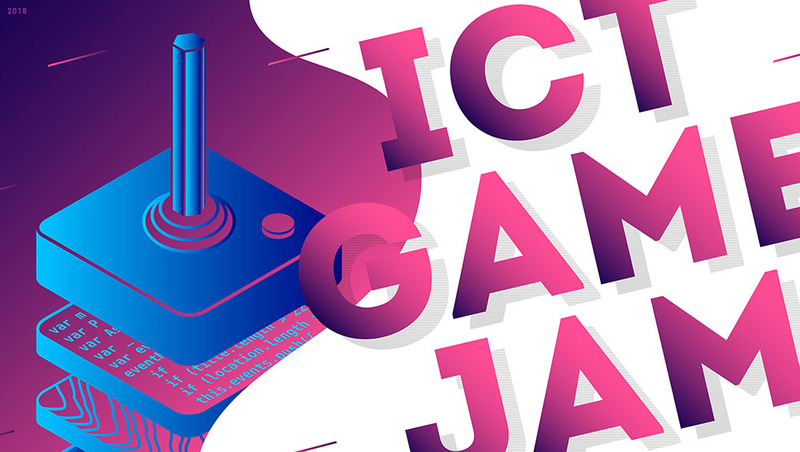 We have a judges panel, and we open our doors to the public on the final day to play and vote on their favorite games. Prizes are awarded for the Judges' Choice, as well as Community Choice. But most importantly, it's a great way to hang out, make games, and meet others in the area that are pumped about doing the same! The themes were: "Don't get touched" and/or "Day and night"
1st Place: "Eat The Spaghetti To Forgetti Your Regretti" by Battle Santa! #ICTGameJam Work through the puzzling level design while avoiding your previous actions! A game created in a weekend for the 2018 ICT Game Jam. Collect stars and conquer the sky! A bullet hell game. You play the earth. Survive the epic battle between the moon and the sun! Don't let the tentacles touch you!